The revolutionary way to remove your makeup! 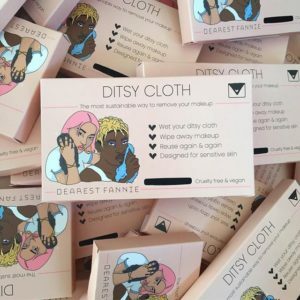 Simply wet your Ditsy cloth, wipe away your makeup and then reuse again. Once dirty, just pop it in the wash. This is a great way for cutting down on your waste such as one-use makeup remover wipes or cotton pads. It also saves you money in the long run! These cloths are specially-designed for sensitive skin and hypoallergenic. This products is sustainably created. The cloth is kept in a cardboard sleeve which is made from 80% recycled materials and can be recycled afterwards leaving no trace on the environment. Cruelty-free and vegan. Available in black, blue and pink. 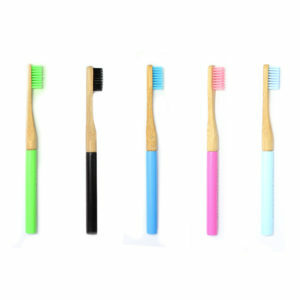 Replaceable heads for the toothbrushes which we also sell! You can mix and match colours to your own preference, they are all the same size. A tree is planted by Zero-Waste Club too with every purchase from ourselves. In order to correctly replace the heads, there is an image with instructions if you are not sure how to do so securely. 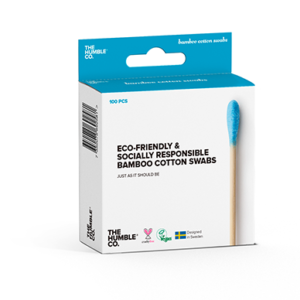 The world's first replaceable head bamboo toothbrush! Once the head is worn down you can simply take it off and replace it with a new head, creating less waste each time! The used head can be recycled after the bristles have been removed or simply buried so it can decompose. This great use of replaceable heads will also save you money long-term! A tree is planted by Zero-Waste Club too with every purchase from ourselves. We stock these brushes in black, dark and light blue, green and pink, so that you can easily identify whose toothbrush is whose in your bathroom or when travelling! 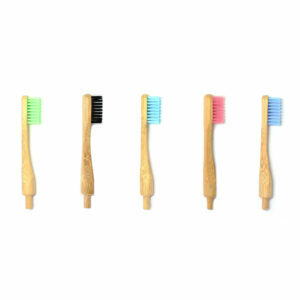 Great when paired with our bamboo toothbrush cases as well. 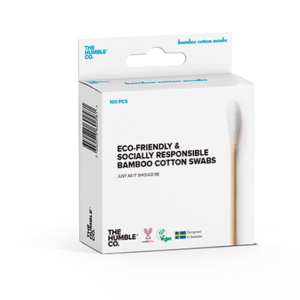 The Humble Co. bamboo cotton swabs are an eco-friendly and socially responsible alternative to single-use plastic cotton swabs. They are biodegradable and sustainably grown plus bamboo is naturally antibacterial meaning no fertilisers or pesticides during its cultivation. Every purchase makes a big difference! The Humble Co. fund sustainable healthcare projects to help children in disadvantaged countries. We have a choice of white, blue and pink and each pack has 100 pieces.